Onion weed has slender, light green strap-like leaves that sprout in clumps and can grow to around knee height. Just like a snowdrop or a daffodil, flower stems appear from the middle of the leaves in spring and early summer producing clusters of pure white drooping flowers that open above the foliage. The flower stems themselves are characteristically three-cornered. The easiest way to confirm that you are looking at onion weed is to crush any part of the plant – it will smell of onions. The good news is that every part of this plant is edible and it can be treated a bit like a spring onion or baby leek. Onion weed grows from a small parent bulb and spreads underground by producing additional tiny bulbils that grow into dense crowded clumps of foliage. It also spreads rapidly around the garden through seeds cast from pods that form on the three-cornered stems after flowering. Onion weed can form a dense carpet of foliage that suppresses the growth of other plants. It dies back, absorbing nutrients from foliage in autumn down into the bulbs, and then re-grows new foliage in the spring. It is a persistent weed and one that is hard to completely eradicate. 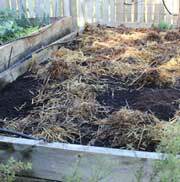 When foliage is pulled out, bulbs and bulbils in the soil below will re-grow. 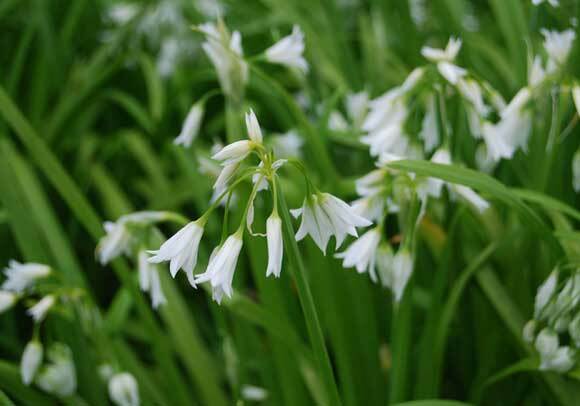 If onion weed is dug up to remove foliage and the parent bulb most often the smaller bulbils – that can be hard to see - get freely distributed through your soil to grow into even more plants. Controlling onion weed without the use of chemicals takes time and patience. With concerted effort you can certainly make a difference and reduce the quantity present in your soil – however, its likely you’ll have to learn to live with a certain amount of onion weed once it finds its way into your garden. Remove all foliage whenever you see it. This will weaken plants considerably over time and help to prevent re-growth. The aim is to be even more persistent than onion weed itself and to keep depriving it of its ability to nourish its bulbs hidden in the soil below. Cut foliage with garden shears if you have large clumps. You can even go over it with the lawn mower. Onion weed can be dug up by hand and bulbs carefully removed from the soil. It is important to dispose of the bulbs in a way the stops them re-entering your garden or compost heap where they will simply re-grow as new plants. Eating them is a fairly sustainable way of disposal. The bulbs can be pickled just like pickling onions. Flowers make an attractive addition to salads and the leaves can be chopped and added to potato salads, soups and stocks or in dishes that require a mild oniony flavour. Whole young plants can be or used just like a spring onion in sandwiches and salads.